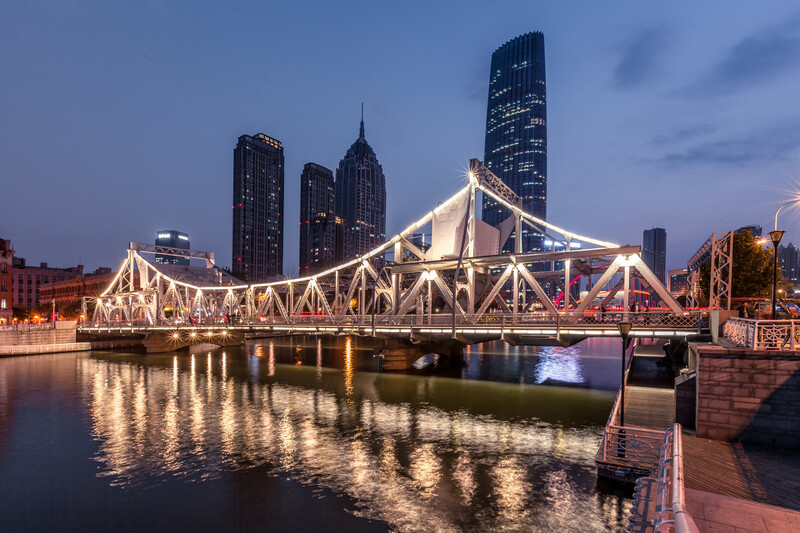 As Tianjin City is just around 131Kms from Beijing, China’s capital city, it tends to get overshadowed. In fact, a close look at the city will give one a glimpse into a beautiful world of mix cultures and religions, ancient customs and traditions, and a bustling metropolis with the best in modern amenities. 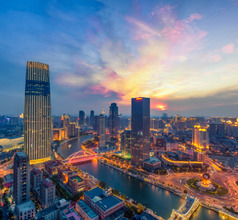 The people of Tianjin are well-educated, cultured, and have a helpful attitude towards domestic and overseas tourists. The Haihe River that passes through the city adds splendor along its path by making the scenery lush and green. 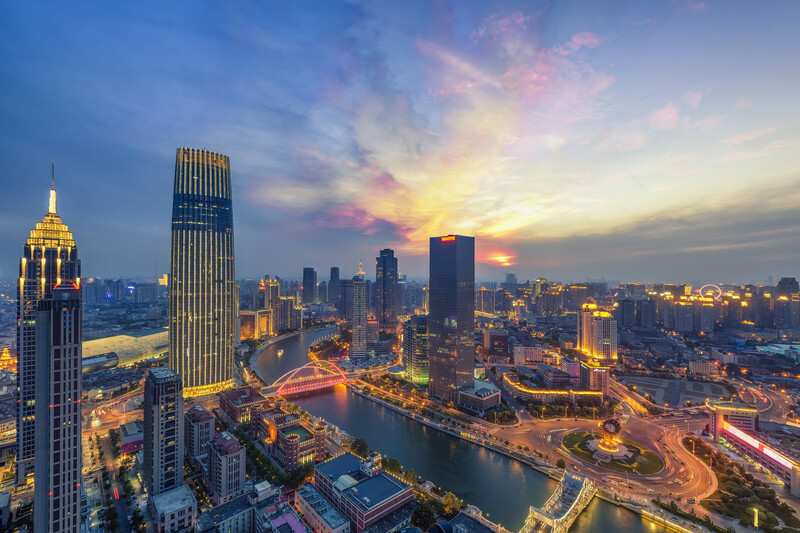 The city is a bonanza of amusement parks, the Tianjin Eye (Ferris wheel), and other tourist activities that draw thousands of tourists throughout the year. 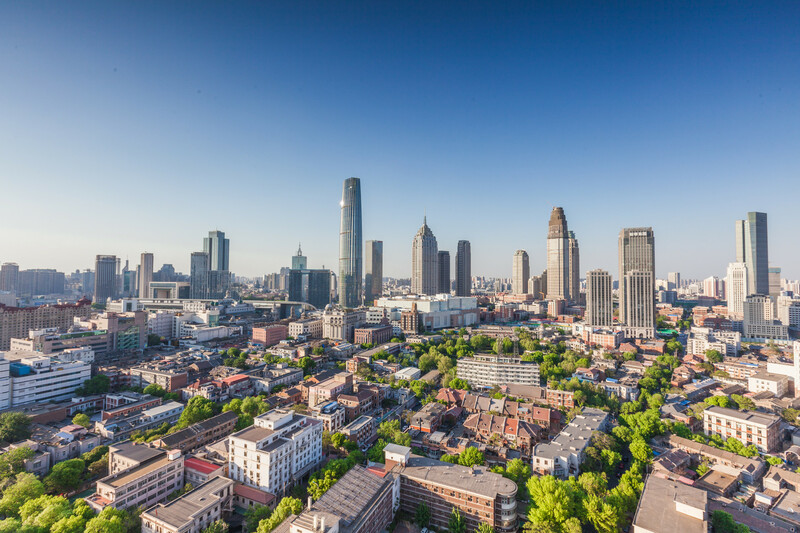 The city of Tianjin has two distinct sections, the old Binhai area, and the modern metropolitan section. The city has a long history of mixed religions. 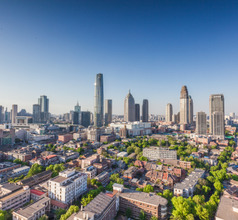 This is evident in ancient structures like the Catholic St. Joseph’s Cathedral, Temple of Great Compassion (Buddhist), Tianjin Jewish Synagogue, Our Lady of Victory Church, and the Roman Catholic Diocese of Tianjin. 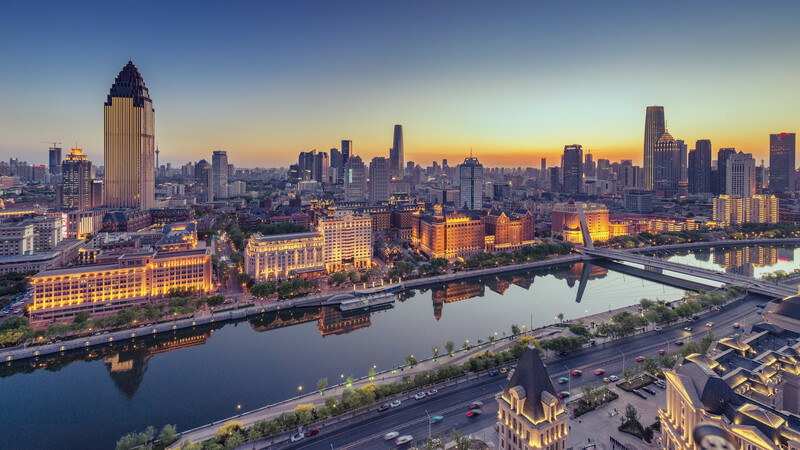 Tianjin is a pleasure for those who like to explore marketplaces and experience the true ethos of a city. The Ancient Culture Street has beautiful Ming and Qing Dynasty buildings like the Tianhou Palace (temple for Matsu, Goddess of the seas). The old structures are surrounded by souvenir shops, cafes, and quaint little teahouses. 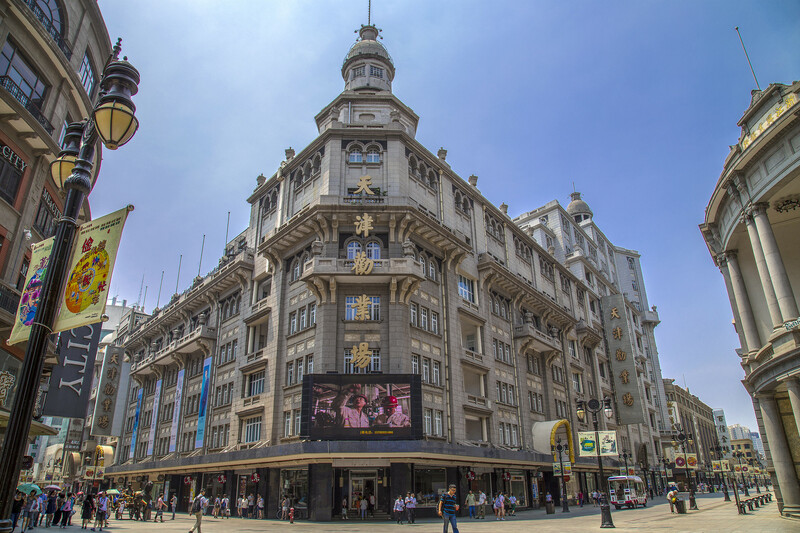 Accommodation in Tianjin City is available in the form of star hotels, budget hotels, as well as low-priced inns, service-apartments, guesthouses, lodges, and youth hostels. The rooms are generally clean but the ambience and amenities depend on the locality and price range. The upscale hotels provide in-house multi-cuisine restaurants, 24x7 coffee shops, convenience stores, airport shuttle services, babysitting services, in-room dining, housekeeping, customized river cruises and sightseeing tours, etc. A majority of the hotel staff understands English but that may or may not be true for all the hotels. 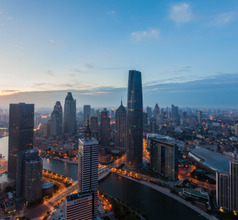 Tianjin City is the largest manmade port on the estuary of the Haihe River at Bohai Bay. 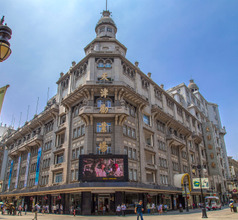 Along the banks of the river is the Fifth Avenue with splendid mansions of Renaissance, Gothic, Greek, Roman-style architecture interspersed with Qing-style buildings. 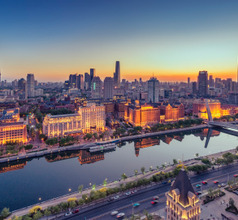 The Haihe River Cruise is the easiest way to admire these superb row of colonial buildings that are unique to the city. 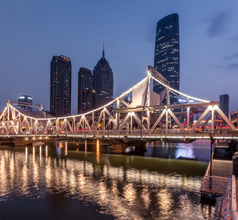 The Yongle Bridge Tientsin Eye (Tianjin Eye for short) is the most popular tourist attraction in the city. It is a gigantic Ferris wheel that has a diameter of 110 meters (equivalent to 35 floors) and spans the river. So it serves as a bridge as well as a fun-filled high-elevation ride. Tianjin Eye has 64 transparent gondolas that turn 360o. The 30-minute ride is considered an exhilarating experience for all age groups. At night, the wheel is lit up and the lights keep changing colors. Naturally, this attraction is a favorite of local families with kids, domestic tourists, as well as overseas visitors. Another favorite of kids and families is the Tianjin Haichang Polar Ocean Theme Park. This tourist attraction is a 4A grade scenic spot spread over a massive area of 49,000 square meters. It provides a variety of entertainment for visitors like five animal science shows, three live performances, night activities, banquets, and facilities for staying overnight. It also has 80 display tanks with over 10,000 jellyfish belonging to 20 species. These tanks have a sound and light display that makes the experience interactive and more enjoyable. The highlight of the ancient Dabei Monastery is a magnificent 7-meters-tall statue of the Sakyamuni Buddha. The temple also consists of countless other ancient statues, like that of Guanyin or Goddess of Mercy (a female form of the Buddha), Maitreya Buddha, and of 18 Arhats with expressions depicting 18 different emotions. 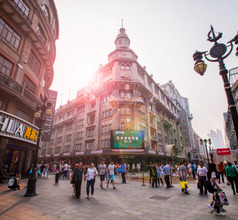 The city of Tianjin is a treasure as far as teahouses are concerned. Located around 3 km to the north of the main Tianjin Railway Station, this small stations serves mainly regional trains to Jizhou. It is connected with metro Line 3 and 6. Centrally located, Tianjin Railway Station serves both conventional and high-speed trains, including on the Beijing-Tianjin Line. It is also a major transport hub, connecting with Metro Lines 1, 3 and 9. 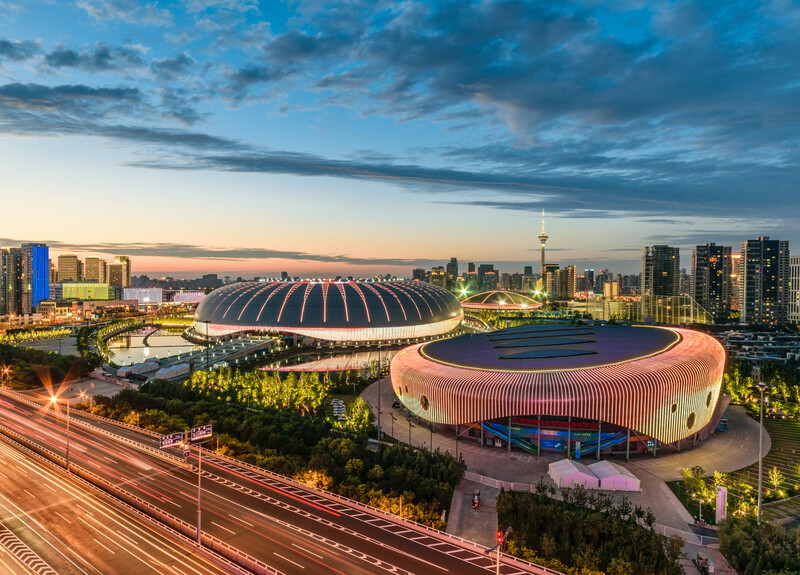 The newest and largest of all Tianjin's Railway Stations, Tianjin West Railway Station is located just 4km to the north-west of the main Tianjin Railway Station. 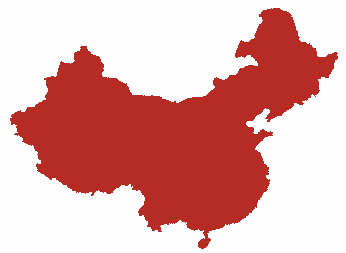 It serves both low-speed and high-speed trains, including trains on the Beijing-Shanghai high-speed railway. It can be accessed via Metro Line 1 and 6, and the under-construction Line 4. Tianjin Binhai International Airport has 2 terminals but only the second, newer terminal is operational. 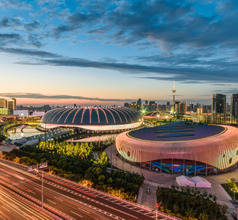 The city center of Tianjin is 13 kms apart. Airport Shuttles handle all city stations for RMB15. Same for public buses which cost RMB3. Cabs take 20 minutes and cost RMB50-80. Metro Line 2 also has an airport station that goes across town at RMB3. South East Asian destinations are served as are many home airports by all major carriers. There is plenty of choice in Tianjin City as far as food is concerned. Being a modern metropolis, it has the usual Italian, Western, Japanese, and Cantonese Chinese restaurants. There are several pizza and burger takeaway outlets for the convenience of western visitors as well. The local cuisine of Tianjin focuses on seafood and stews. Some of their specialties are Goubuli Baozi steamed buns, Tangdui fruit dessert, Chatang soup, ear-hone fried cake, Tanghulu sweet dish, Tianjin preserved vegetables, etc. 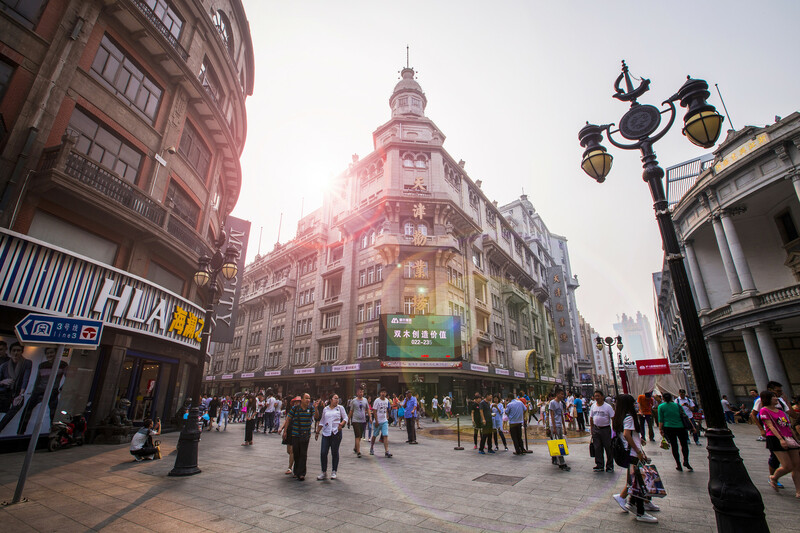 The tastiest local delicacies are available in the cafes and kiosks along Ancient Culture Street, Gulou Street, Jiefang Beilu, and Binjiang Dao. The multi-vitamin calcium-rich noodles, vegetarian dumplings, deep-frozen 8 precious delicacies, and vegetarian steamed-buns served at the Tianjin Dabei Buddhist Monastery Vegetarian Food Corporation are considered to be delicious and are definitely worth trying. Despite Tianjin’s proximity to the sea, it has a sharp daily and seasonal temperature fluctuations. 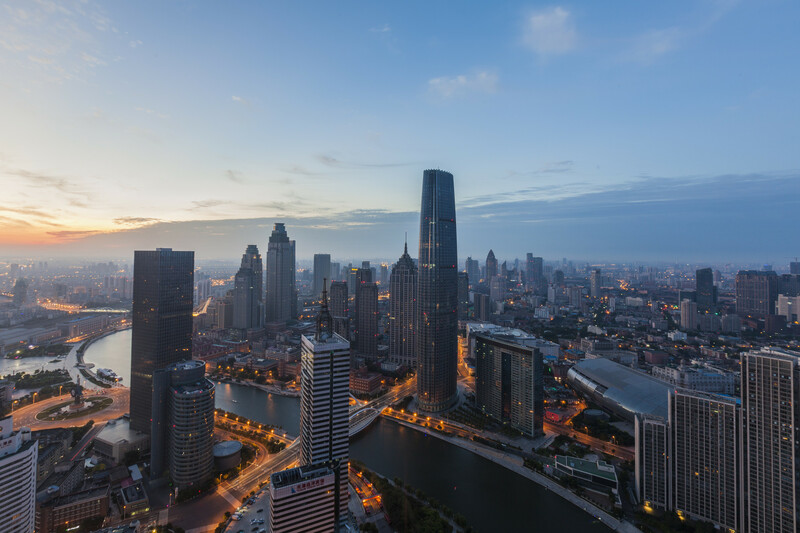 Tianjin has four clearly divided seasons, with the hottest month being July (the average temperature can reach 26°C) and the coldest month is January (the average temperature is about -4°C).